The picture is probably from Tinn Austbygd in Telemark. Taken about 1920. A great secondary source for Norwegian family history research is Bygdebøker. Almost every municipality in Norway has published one or a series of books. Norway has had a large farming population, so by describing who lived or lives on the farms, most of its citizens will be included at least until 1900. The authors of Bygdebøker uses an array of sources, often have knowledge of the local area and might get help from other knowledgeable family or local historians. One can find the local history going back 1-2000 years. If the farm was inhabited before, during and after the Black Death. And you might find lines of your ancestry going back to the 1600’s. It can name these ancestors born about 1600-1650. Give the names of their children and where they settled. From about the year 1700 it will probably list names of spouses, more accurate years of birth and death, and give more detailed information. This gives you the chance of connecting your research with that of others and helps you going to the primary sources with more ease. The modern Bygdebøker also includes other buildings and people than those on the farms. Lokalhistoriewiki is a wiki written by volunteers and edited by employees in a division at the National Library, specialized in Local history. They have compiled bibliographies of the counties and municipalities in Norway in two categories: 1. Farm books and 2. Local history yearbooks and journals. The link is here: https://lokalhistoriewiki.no/wiki/Kategori:Lokalhistorisk_litteratur I believe this is the most comprehensive overview that can be found. 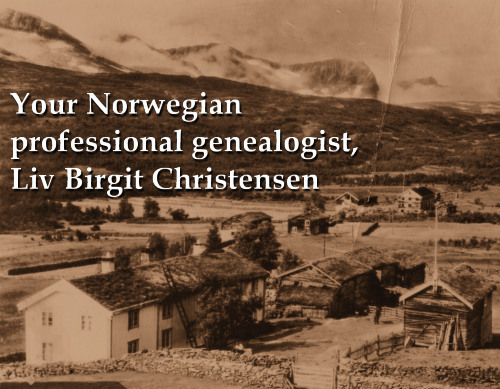 Previous Do you want to learn more about Norwegian genealogy?